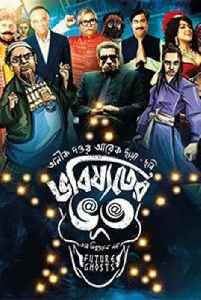 Bhobishyoter Bhoot is a Bengali satirical comedy film directed by Anik Dutta. This movie was released on 15 February 2019. However, this is not a sequel to director's earlier blockbuster hit Bhooter Bhabishyat. All single and mutiple screen theaters were stopped from showing the movie immediately after release sighting "orders from upper management". Various leading newspapers quoted unnamed sources, as well Dutta, as saying that the West Bengal police had issued these instructions to the theatres. The film was allegedly withdrawn from single-screen theatres and multiplexes a day after its release.